A man is a man, a woman is a woman, and children are children – this does not change with time or culture. All are called to be one in the love and sacrifice of Christ; all are one holy family. Why do we find it necessary to make excuses for Holy Scripture and the “patriarchal family pattern” it reflects and “the subordinationist family ethic of the Biblical culture” (from the commentary of the missal from which I take today’s readings)? How is it we have lost the beauty of Paul’s words on the complementary nature of the conjugal relationship? How is it the family has become bereft of Christ? One would think Paul states, “Husbands, beat your wives,” instead of “Husbands, love your wives, and avoid any bitterness toward them,” by the way his text is avoided like the plague. Why such ignorance of what is actually present in Scripture? And if the Scripture is perverted, why do we not “in all wisdom... teach and admonish one another,” instead of casting the wisdom of the Lord from our presence, or rationalizing it away. Is it a sin for a wife to be submissive, to respect her husband; for children to be obedient toward their parents; for the husband and father to lay down his life for his family? Is power to be defined by the dictates of the world, or by the cross? Do we desire to control, or to love? “Blessed is everyone who fears the Lord, who walks in His ways!” Here is the key to our roles, in the exclamation of our psalmist. “Do everything in the name of the Lord Jesus, giving thanks to God the Father through Him,” Paul summarizes his teaching. Hear in his letter the call to “compassion, kindness, humility, gentleness, and patience, bearing with one another and forgiving one another,” even as the Lord has done with us. Be led by the Word of the Lord and His instruction and guidance. You, husbands, do you reflect Joseph’s obedience to the Word of God brought by the angel? Do you care for your families as God calls? Are you mothers like Mary, moving according to the protective hand upon your hearth, your house? And children, do you honor your father and mother’s authority over you as Jesus, who, though the Son of God, humbled Himself to be the child in this Holy Family? Let us all be as Christ – honoring, obeying, humbling ourselves… in a word, loving one another as He has loved us. Then we will be of the family of God. Music: "Vision of Children" (2nd part) from The Innocent Heart, first album of Songs for Children of Light, by James Kurt. O LORD, call us out of Egypt to your holy land. YHWH, obedient let us be to you, and serve one another. It is your will that we love one another, that we act with humility and patience, always forgiving and living in peace. Indeed, let us reflect the life of the Holy Family. Was not Joseph obedient to your every word, dear LORD? Did he not have in his soul only to protect your Son and His Mother? Did he think of himself at all? O let all fathers lay down their lives in such a complete manner! And was not Mary obedient to Joseph (who was obedient to you)? Did she not recognize, O LORD, that your will was being accomplished through his instruction, through the inspiration upon his soul? Did she stop to question his actions? Did she think herself better qualified, being the Mother of God? O let all wives be so respectful of their husbands! And was Jesus not obedient in all things to Joseph and Mary, He who was Son of God and God Himself? Did He invoke His superiority over them? O God, let all children so honor their mother and father! Let all walk in your ways, in your way of sacrifice, and so be blessed as the Holy Family. How shall we “ascend the mountain of the Lord”? How shall we scale the heights and come to know Him as He is, He who “founded [the earth] upon the seas and established it upon the rivers”? Only by the Son, who “will save His people from their sins,” are we made ready to stand in His presence. “For it is through the Holy Spirit this child has been conceived,” and we are made holy by the blessing of His presence among our kind. He is one like us. Can you believe it? Can you understand it, understand its significance and the grace it is as a gift from God? Joseph struggled, certainly, to believe, to understand, to accept the greatness of this gift to him and to his people. The angel of the Lord had to come to him to convince him to receive such great grace into his life, into his home. But he did. He did believe, and he did fulfill his role in the coming salvation. And, yes, what of us? We “are called to belong to Jesus Christ… called to be holy.” Paul answered the call from God to be His apostle and “bring about the obedience of faith”; again, what of us? Do we answer the call to holiness? Do we reflect that obedience? The time is upon us now. The great sign has been fulfilled in our midst. Jesus has been born and stands with us now to lead us to the purity of the Father – are we prepared to make this Child our own? What greater truth can be proclaimed than that God is with us? What greater grace can we receive than the forgiveness of our sins, than the preparation of our hearts for heaven? Jesus accomplishes these blessings now for all who desire to enter the presence of God, for He is the presence of God among us; He Himself is divine grace. His mercy is upon us. “Grace to you and peace from God our Father and the Lord Jesus Christ,” brothers and sisters. The power of the Lord be upon your souls. May the “Spirit of holiness” establish you with the Son as a child of the Father. Be of “the race that seeks for Him,” and you shall find Him present, dwelling in your homes. Music: "Vision of Children" (1st part) from The Innocent Heart, first album of Songs for Children of Light, by James Kurt. let us indeed be as the Virgin Mother of your Son. YHWH, you are with us now in your only Son, who has been born of the womb of the Blessed Virgin. All the earth is yours, and now this Child comes into the world to save it from its sins, from the destruction that is upon it for having turned from you. O let us welcome Him into our homes! O LORD, let us belong to Jesus and so become one with you. May your grace and peace be upon us this day and all the days of our lives. 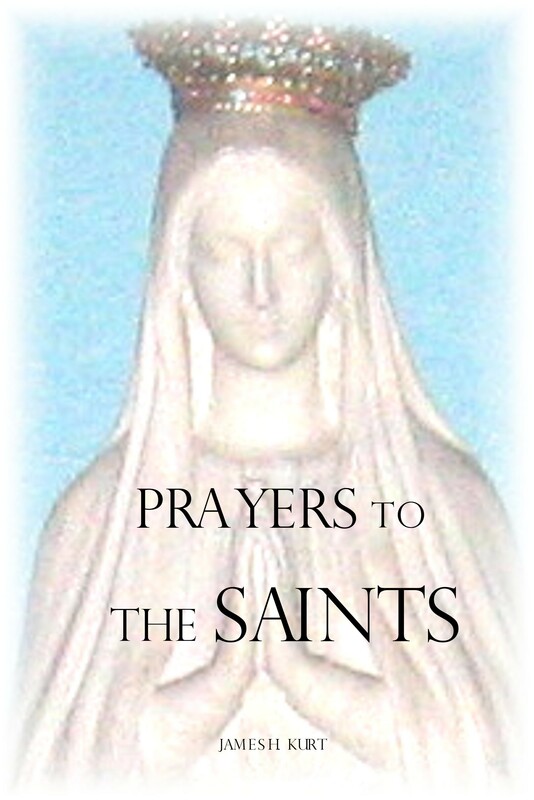 Make us pure as His Mother that your holy mountain we might ascend and gaze upon your face with all your saints. Obedient to your call as Joseph let us be; let us listen to the voice of your angel. You desire us all to stand with you, but our hands must be sinless and our hearts clean. May the Virgin Mary, she who has conceived and borne your Son, pray the Spirit upon us, that our obedience shall be like her own, and so her blessing also. Be with us this day, dear God, and let us be with you. The Truth has come, and all nations are drawn to Him. None is excluded in the House of God; His holy Temple is a place where all take refuge, where all find fulfillment, where all find joy. He only asks that we heed His testimony, that we see the works which He performs and act in accordance with His holiness. “Observe what is right, do what is just, for my salvation is about to come, my justice, about to be revealed,” the Lord says to us all. Set yourselves on right paths with Him who has come, and you will be readily accepted into His presence. His justice is for all; His love extends to the ends of the earth. David’s prayer is answered in Jesus: “May your way be known upon earth, among all nations your salvation.” For now does He “rule the peoples in equity”; now “the earth has yielded its fruits.” Now the blessing of our God falls upon all whose hearts turn to Him. “May all the ends of the earth fear Him!” Then will all be drawn into His house of prayer and know His love. This day shall not be long in coming; come now to “the lamp, set aflame and burning bright” for all eternity. Enter into the flesh of Christ. and all peoples might learn to love your NAME. YHWH, let us exult in the eternal light that is your Son. He has come among us to draw all souls into your House of prayer, that all might offer holy sacrifice to you on high. And you accept all who come through Him; those who do what is right and keep your day holy you join to yourself. O may all men know such blessing! May all the ends of the earth glory in your presence. All the nations you gather into your arms, O LORD, by the intercession of Jesus. Your works He performs in our midst to reveal your glory to us and so draw us to the truth, to your holy mountain – to the Heaven where you dwell. May we not be kept apart from your kingdom by any evildoing, by any ignorance of the Word your Son brings to us. Let us enter under your rule. If we wish to be your children, you will welcome us, LORD. If it is our desire to give you worship, if our hearts are set on prayer, you will bless us. In your Son we will find answer to our prayer, if we believe His testimony, if we believe in the divinity He shares with you. We are “the barren one who did not bear,” the “wife married in youth and then cast off” by our God. Once “forsaken and grieved in spirit,” blushing for the “shame of [our] youth,” now the Lord takes us home and promises us His love. “My love shall never leave you nor my covenant of peace be shaken,” the Lord in His mercy assures us. Though we be as those in the days of Noah, deserving of His destructive wrath, yet He takes pity on us, not only sparing our lives, but also promising to expand our space, to increase us in His blessed generosity beyond what we could imagine. “At nightfall, weeping enters in, but with the dawn, rejoicing.” Yes, our sin has made us sad; our separation from God has invited His wrath and made us less than what we are. But though the Lord may punish in His justice, yet “His anger lasts but a moment; a lifetime His good will.” David sings, “You changed my mourning into dancing,” for indeed great is His mercy toward us; tender is His touch upon us as He brings us “up from the netherworld” and places us at His side in the kingdom, as His holy bride. And the Baptist makes the way the redeemed must walk. Necessary is “the baptismal bath he administered” in order to realize God’s plan for the salvation of our lives. He is the messenger who goes ahead of the Lord, preparing the path that leads to our being “born into the kingdom of God,” where our greatness cannot be measured for it will be in union with Him who is “God of all the earth.” Indeed, we must turn from our sins to find our way to this unity; we must repent in tears and turn back to Him. And He will be quick to rescue us, and we will be blessed to rejoice forever, to “break forth in jubilant song” at the graces poured forth upon us by our God in the forgiveness of our sins. His tender Hand is near us, waiting to touch us. Is it your will to be wed to the Most High God? Then receive the baptism He requires and you will be made fruitful in the kingdom of God. may our hearts be prepared to receive your glory. YHWH, we must be cleansed in your baptismal bath, for you wish to draw us back to you from our sin; you wish to turn our mourning into dancing, but we cannot approach you, we cannot enter your kingdom if our shame still clings to us, if the dust of this earth remains upon our souls. We have been made barren by the evil our hands have done; we deserve to be drowned in the waters of the flood, to be cast to the nether world… but you look upon our desolation with mercy and seek to wed us unto you that we might again bear fruit, that we might spread out across all the earth. Bring your Heaven to this desert place, we pray. Weeping we have known. Abandonment we have suffered, O LORD. Let us now hear your voice crying out to us, calling us back to your loving arms. Our sins indeed please wash away. Never leave us again, we pray; assure us of your abiding love. Into your kingdom let us come with all your holy people. “Near indeed is His salvation to those who fear Him.” We see Him. We hear Him. If our hearts are open to Him, we witness His working every moment of our lives. For He is “the creator of the heavens… the designer and maker of the earth,” and His Hand is at work in all things – He cannot be separated from His creation. The light and the darkness are made by Him, and for us who love Him “truth shall spring out of the earth, and justice shall look down from heaven.” “For He proclaims peace to His people.” For those who love Him, there is only light. And we know that Light is Jesus. It is to witness to Him the Baptist came; and now he hears of the fulfillment of the way he has prepared. We must find “no stumbling block” in the Lord. We must join in proclaiming His good news, in walking in His way – in letting our deeds speak for themselves as wrought by the Hand of the loving Creator and His redeeming Son. Be of light, brothers and sisters, of justice, of peace. Let kindness and truth meet in all your words and deeds and you will be sons and daughters of the one “just and saving God” – and you will be blessed forever. who created us and redeemed us. YHWH, in your goodness you have made the earth and all who dwell in it, and by your grace your Son has served to redeem Creation. From the beginning you designed this world to be lived in, you desired that all your creatures should flourish, and though woe has come upon us because of our disobedience, now Jesus has come among us to make the deaf hear and the blind see, to raise us from the death of sin. O let us walk before you in justice! You are the only just and saving God; beside you there is no other. And should we not rejoice in your presence, O LORD? Your justice rains down upon us from Heaven now, and should we not spring up from the earth declaring your truth and your glory? Should we not be one with your Son who is our salvation and so find your blessings, and so yield an increase of holy fruit? O let us be healed of all our afflictions! that we might know your glory dwelling in our land. All have been “rebellious and polluted”; all have been as she who “hears no voice” and “accepts no correction.” But the Lord now comes to “change and purify the lips of the peoples, that they may all call upon the name of the Lord, to serve Him with one accord.” Who is it who hears the voice of the Lord to “not be ashamed of all [our] deeds, [our] rebellious acts against [Him]”? “Let me make it clear that tax collectors and prostitutes are entering the kingdom of God before you,” Jesus states simply and directly to the chief priests and elders. These lowest of society, these most polluted, have put faith in John’s preaching of “a way of holiness,” but those most esteemed, the elder son whose words bear the stamp of God but whose actions are far from Him, are held back from entering the kingdom by their pride, perhaps thinking they are already there. How sad. How can it be that those so steeped in the holy Scriptures do not hear the words of David’s psalm: “The Lord is close to the brokenhearted; and those who are crushed in spirit He saves”? Or how are they blind to the vision of the “humble and lowly” the Lord deems to bless? For that matter, how do they hide themselves from the great prophet’s declaration that the Lord “will remove from [their] midst the proud braggarts”? Our words alone will not save us, brothers and sisters. However great the lines of the scribe or the preaching of the priest, it will mean nothing if not lived in flesh and blood. Better to say no to God, as the younger son, and then turn to Him and do His will. Certainly we all stray; and this we must recognize. But just as certain is that all must turn to Him, after regretting our sin, and do as He commands. Do not be afraid. The Lord will “destroy remembrance of evildoers,” but count not yourself as in allegiance with them. Be among those who “speak no lies” and you “shall pasture and couch [your] flocks with none to disturb [you].” The vision of God and His Spirit shall be your own. but let our actions meet our words of praise. YHWH, we must do your will to enter your kingdom, this your Son makes clear to all. We cannot merely honor you with our lips but must make our holiness incarnate as His. O the woe of the proud, dear LORD! How terrible their separation from you. For they are blind even to their separation, and so, what shall save them? Let them be saved by seeing the humble come to you; let them know your mercy and love by witnessing your forgiveness toward the lowly sinner… and let them accept your mercy upon their own hearts. Purify our lips, O LORD, from all lies, all deceitful words. Let it be your holy NAME that is upon our tongues, that we might dwell in truth and peace and humility, and praise your glory forever. You are close to the brokenhearted, LORD; you gather even the rebellious into your arms. Let us accept the correction of your Son and cry out to you, that we may indeed be saved and come to serve you. And the light of that star is reflected in the eyes of Balaam, who, though a pagan, is gifted by God with the clear vision to see the beauty and wonder of “Israel encamped, tribe by tribe,” “like gardens beside a stream,” “like the cedars planted by the Lord.” And as He is seen in the nation of Israel blessed by the Lord, so His glory is reflected in the heart and words and actions of everyone who believes and proclaims in truth that Jesus is that star, that Jesus is the Son of God. Those who remain close to the teaching of Jesus, and to His ways, “shall have the sea within reach.” There shall be an abundance of wisdom at the ready for those who are graced with ears to hear His words. “He teaches the humble His way,” yes, and guides us on straight paths which lead directly to the Most High. And “with eyes unveiled” we shall gaze not only on His reflection in the fields of this earthly existence, but on Him Himself as He is in heaven. The teaching of Jesus is divine and He Himself is divine, above whose authority there is no other. But His light can only be seen, His words can only be understood by those whose hearts are open to truth and willing to walk the path He sets. If the “chief priests and elders of the people” closed themselves off from Him in a political quandary, we must not do so. Instead we must be as His apostles, in whom the tribes of Israel are truly aligned perfectly, and have as ready a response as we know Peter had on the shores of Galilee, as Thomas had when He appeared in their midst: He is our Lord, our God. This we must see. This we must know. And this we must proclaim. The star has risen in our midst; the Savior has come. Now we await the fulfillment of that light and must bring it to bear in this generation. Now we must follow that star where it leads. and our hearts put faith in His authority. YHWH, let our eyes not be blind, blind to the glory that stands before us in your only Son. Let our eyes be open to vision of your kingdom, the kingdom He brings to this earth. Let our tents be set in line with your will, O LORD; let our hearts be humble before you. LORD God, you show the humble your way; you bless them with your presence in their souls and your light shining in their lives. Teach us this day the way we should walk, the way marked out for us by your Son. Upon Him your authority rests – let us not question His divinity but believe in His power and so in your own. May His Word transform our souls. The wisdom of the ages comes to us this day in Jesus and in His words. Here is the ocean at our hands, before our eyes, that all we might know of your goodness, LORD. Let us honor Him as our King who has come and follow in the way He leads. Hope. What hope have we. And so we should “be patient, brothers and sisters, until the coming of the Lord.” Indeed, we must endure “the early and the late rains” – having been converted to the Lord we shall be purged of all sin on the last day – but, though “hardship” be with us now, our hope should be firm in Him who comes, in Him who “is standing before the gates” even now. Jesus is the fulfillment of the vision given Isaiah and the salvation sung of by our psalmist. By Him, “the blind regain their sight, the lame walk, lepers are cleansed, the deaf hear, the dead are raised, and the poor have the good news proclaimed to them.” Should not He who has power over all maladies, and even death, bring us hope in the kingdom to come? Should not our seeing these wonders wrought by Jesus instill great faith in our hearts? Should we not even rejoice now in our suffering, knowing well that “sorrow and mourning will flee away” when He comes, that the very suffering we experience now will then be no more? Patience. Indeed, patience brings us hope, enables us to endure all, even joyfully. Keep the faith in joy, brothers and sisters. We have every reason for hope; we have firm witness of His grace, at work in us even now. Music:"Hold On, Here We Go" from Bearing the Birth Pangs, tenth album of Songs for Children of Light, by James Kurt. that we might enter your kingdom. YHWH, the coming of your Son is close at hand, when all your children will dance and sing for joy. Though He has come once to open our eyes, to clear our ears, yet in some measure we remain blind and deaf, waiting for the day when your kingdom shall be fulfilled in our midst. And so, we thank you for the release from sin Jesus has wrought, and we wait in hope for His return. Give us the patience we so desperately need. John was the greatest of men, the greatest of prophets, who prepared the way for your only Son, O LORD. To this parched earth, this desert wasteland, he proclaimed a baptism of repentance that brought healing to our souls. Yet all he has done is but a shadow when compared to the glory of the eternal kingdom to which the Christ does carry us. Strengthen our hands, dear LORD; make firm our weak knees. Let all sorrow and mourning flee from us as we humbly await Jesus’ return and our becoming one with you. Music: "Under God" from The Innocent Heart, first album of Songs for Children of Light, by James Kurt. YHWH, let us be gathered into your barn, into your reign of peace, where, the viper having been defanged, all your creatures live in harmony, glorifying you as God and Father. In your Son let us make our home. Jesus comes into our midst endowed with your justice and judgment, O LORD. And the chaff He will burn with unquenchable fire, but His wheat He will draw into His heart. With fire shall all men be baptized – may that fire be for us a purging light for entering your kingdom. The Spirit that was upon John shall anoint all who hear his voice, who seek your way, O LORD and God. And so we must make straight our paths to you, following closely in the footsteps of your Son. O let there be fruit upon our trees! to prove our repentance genuine. Your NAME shall be blessed forever, dear God; in peace shall all your children dwell. May we be covered with knowledge of you, and so live always in the light of your glory.